Sunday Without God is a fantasy post-apocalyptic anime released in 2013. It has a mere 12 episodes, making it a pretty appealing pick for viewers who don’t like too much commitment. The story takes place in a fictional world fifteen years following a point in time when God decides to abandon the world. No one can die in this world without a proper burial and there are no new births. The population remains as it is, with only the possibility for it to dwindle until humans eventually become extinct. Individuals called “gravekeepers” exist, who are able to put to rest people who have “died”. Those who experience death without a proper burial performed by gravekeepers continue to roam the earth, their bodies slowly decaying and their minds turning selfish as their desire to live intensifies. In this magical world, people who seem to “wish” for something hard enough have their wish granted by God, although not necessarily to their own content. The main story follows Ai Astin, a young gravekeeper living in a small peaceful village with her mother. A series of unfortunate events throw her into the unfamiliar world as she forms relationships with new people and learns about life beyond the sheltered bubble she was raised in. 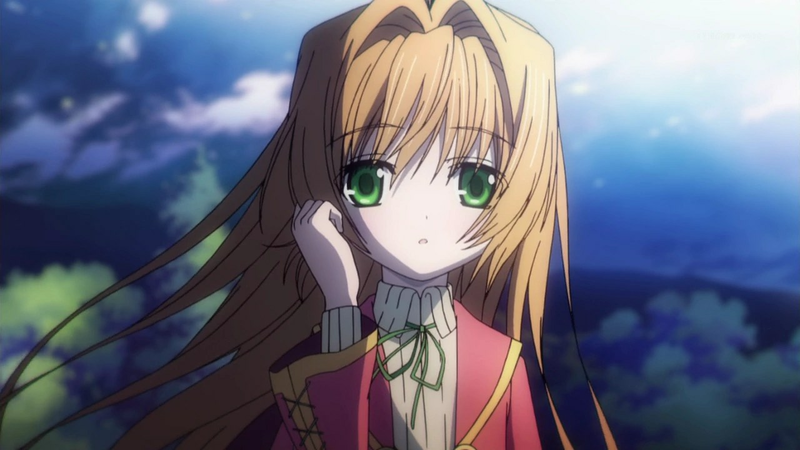 The anime itself is organized in a series of arcs that last only a few episodes each, and present varying characters, locations, and situations that center around Ai as she matures. The clear focus in the anime is on the development of Ai, as she discovers more about the harsh realities of life which toughen up her initially naive views. 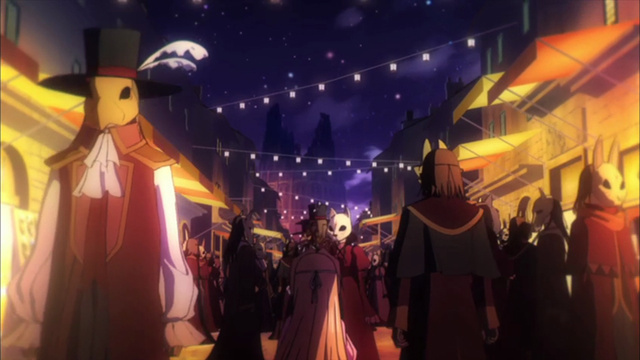 All of the characters you meet are intriguing and unique, but the anime is unfortunately so fast-paced that only a few episodes are ever granted to exploring these side characters, who I would argue are more interesting than the protagonist. The episodes are all so full and rich, with meaningful philosophical questions concerning what it means to live, and to what extent happiness can be obtained in desperate circumstances. There is moral ambiguity that surrounds each character, such that no character can be really seen as absolutely good or absolutely evil. As you delve deeper into the anime, you can see the perspectives held by each character, making it a very richly coloured anime that makes you question your own beliefs about life. I personally love the post-apocalyptic genre so Sunday Without God is a nice addition to my list: it’s philosophical, smart, and creative. This is also the reason the anime is a bit frustrating. I loved this anime as I was watching it, but as it cuts from arc to arc, it rips at your heart strings when you get attached to a character just to find yourself moved onto another scenario and another set of characters that you have to get to know. There just isn’t enough time given as I would like to really get to know each character. I’m not really sure why the anime is only 12 episodes, it felt really rushed and they could have made this a much more fulfilling anime by stretching it out to 25 episodes and giving more time for each arc. I usually love 12 episode animes because of the quick, sweet, and satisfying feeling after finishing one of these types of animes, like Puella Magi Madoka Magica or Chunibyo Demo Koi ga Shitai, but this anime leaves you expecting a lot more. It feels sort of like a good video game demo, it’s perfect and great and all you wanted, but now you’re waiting for the actual game to come out. But in this case, this is all that you get. This demo in the form of the 12 episode anime, Sunday Without God, as good as it is, is cruelly unsatisfying. While I enjoyed almost every minute of it, do keep in mind the inevitable disappointment that will be felt once it is done in what seems like a flash. Hello there! Sounds like a good anime despite its length. I must check it out as soon as I get round to finishing Robotics;Note.